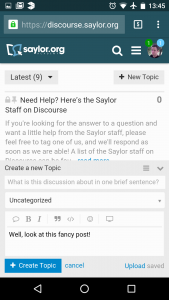 We are now up to date with Version 1.5 of Discourse and wanted to let you know about new features and what has changed! The best places to get complete information about the 1.5 release are the Discourse team’s blog post (human friendly) and their forums thread (tech-y human friendly — software is…complex). Below, we share some of the items that stand out to us. Questions? Comments? Get in touch! 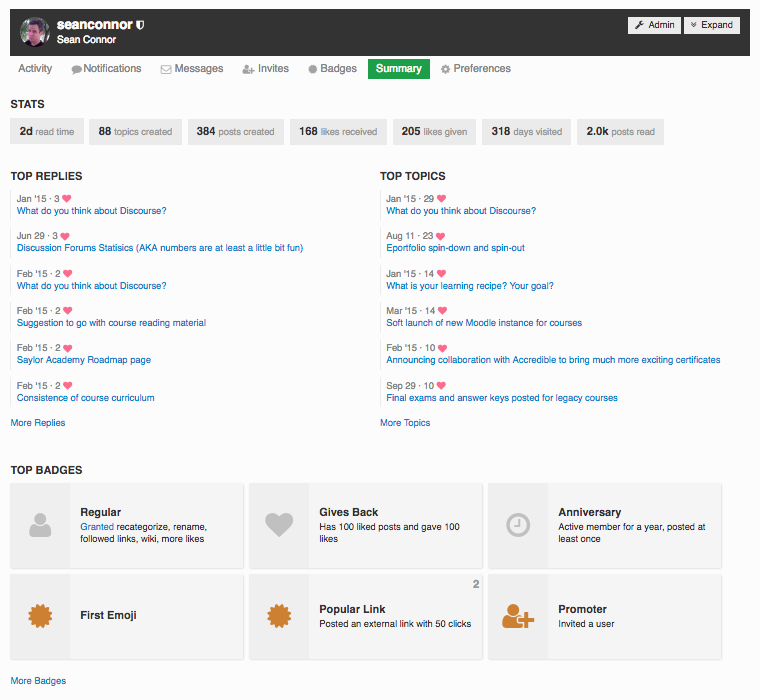 The badges page is new and improved with a better display and more badges. 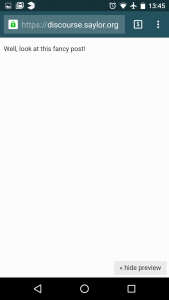 Remember, you have to give likes to get likes…to get badges! The descriptions are improved, too; just click on a badge to get more information. 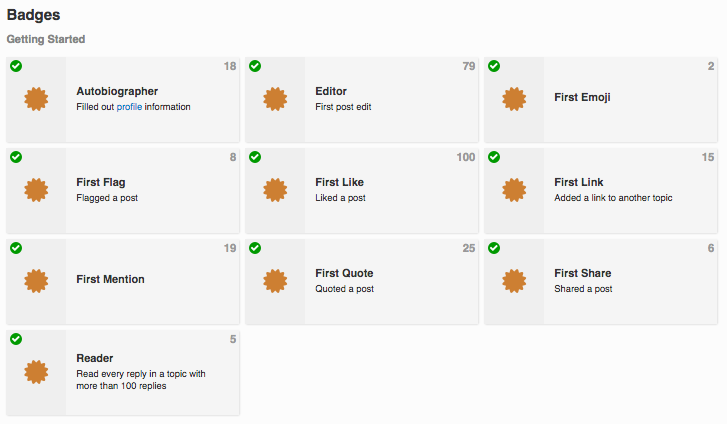 Each user’s page has a nice summary section that highlights their stats, topics, replies, and badges. For sufficiently-wide mobile screens, the compose screen has more options for formatting, emoji, a preview screen, etc., all accessible from the “hamburger menu”. 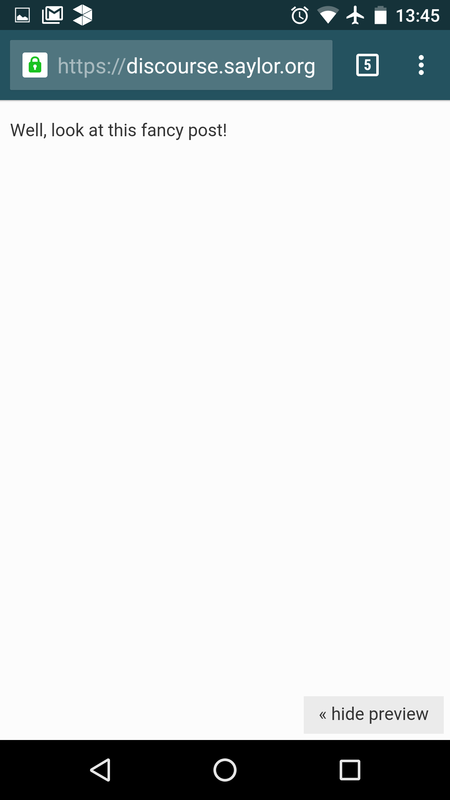 The topics list view (that is, the top-level view for the forums or an individual category is, apparently, several times faster on all devices, with the most significant improvement on older devices. 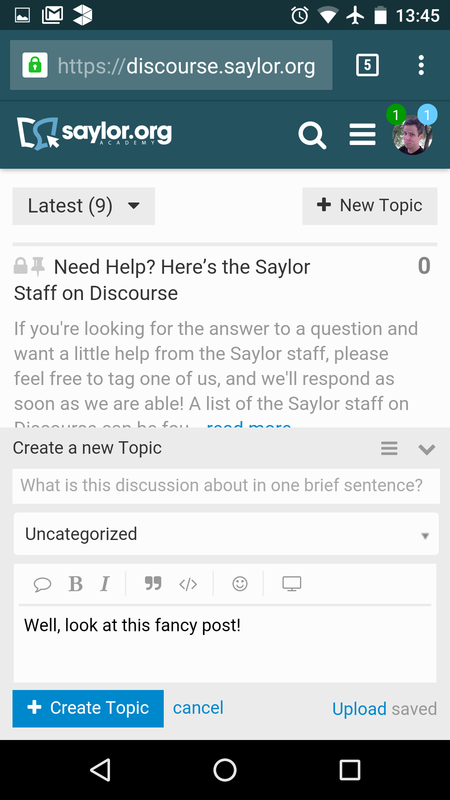 On the administration side, we have more options for customizing emails and forums site text, including things like the word for “user” — so we could go with something like “student” and “topic” could become “thread”, etc. What would you like to see happen in the forums?